Posted on 03/12/2018 at 1:40 pm. Speaking as a fan of Progressive Metal, this show was basically a dream come true. 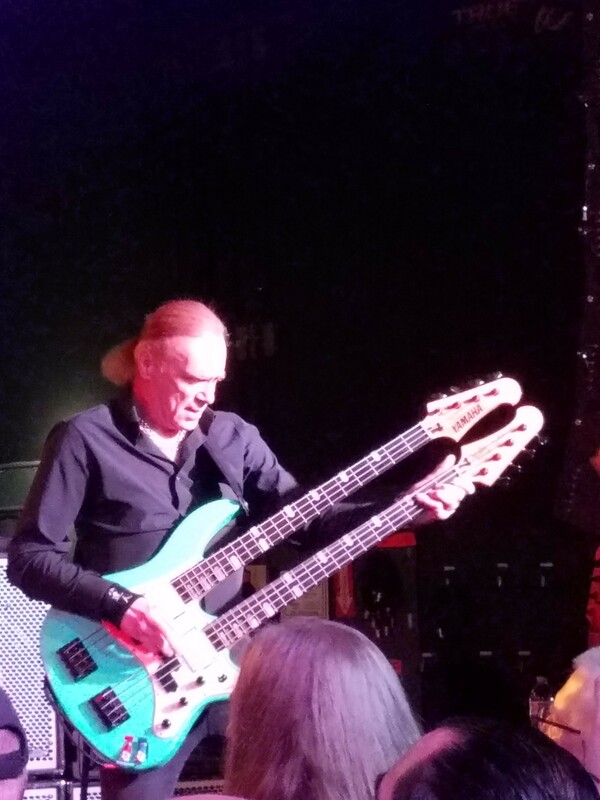 On a chilly February night in Battle Creek, Michigan, a seemingly endless crowd of people representing nearly every age demographic (albeit almost entirely male) crammed themselves into a fairly small music venue for the opportunity to see a group of veritable giants of the music industry play- but more on that later. 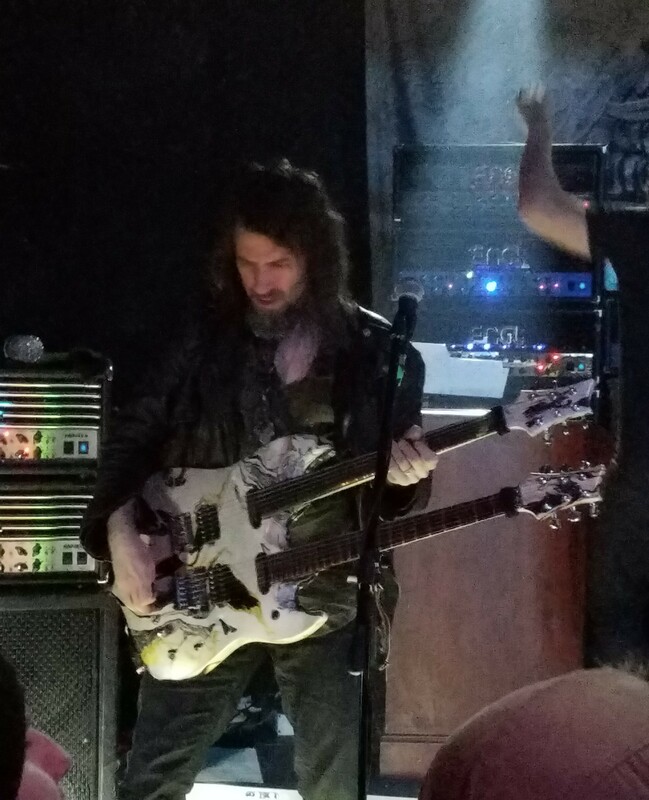 The night consisted of three musical groups, each of a different distinct sort of progressive metal. 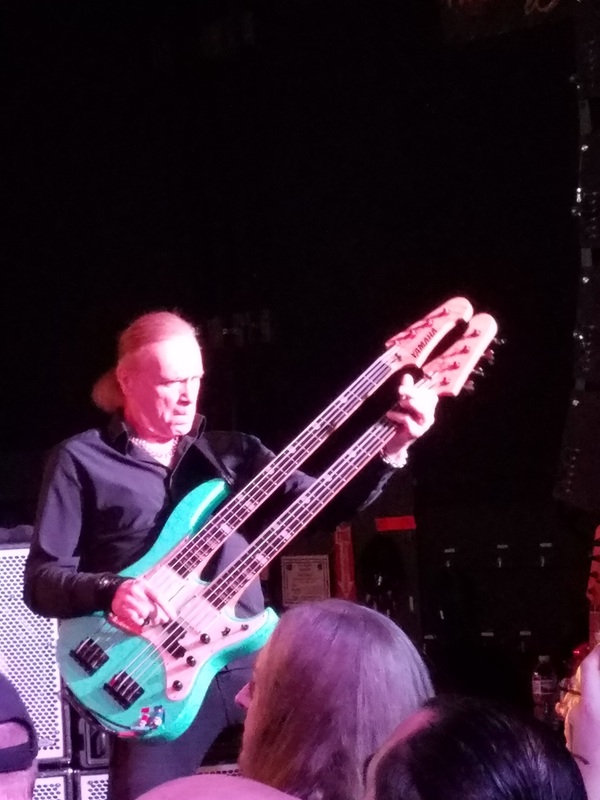 As we entered the venue, the stage was packed with instruments, including two normal-sized drum sets and Mike Portnoy’s drum kit, which is so ridiculously large it should have its own zip code and no fewer than five keyboards including a full-sized Wurlitzer Organ. This jam-packed stage presented something of a challenge for the first act, Dark Trilogy. Dark Trilogy are an instrumental, progressive metal band from South Bend, Indiana with (rather fittingly) three members. Nevertheless, they seemed a bit cramped on the already jam-packed stage setup. That said, I have to say that they made the most of it, delivering a short but well-crafted setlist consisting mostly of shredding prog that gave each member more than enough opportunity to showcase their considerable talents, the peak of which was an excellent drum solo featuring entertaining theatrics and an impressive display with LED drumsticks!! After a relatively quick reprieve between bands and the removal of one drum set, second act Sifting took the stage. Sifting are a Progressive Metal band from Los Angeles, California. Sifting, the touring opener, has a very radio-friendly but still proggy sound, as if Avenged Sevenfold took some songwriting lessons from Claudio Sanchez of Coheed & Cambria. From the first note, it was immediately apparent why Sons of Apollo chose Sifting to tour with them; While they are indeed a young band, they have immense talent, expertly blending complex guitar work with classically-influenced songwriting and well-executed vocal harmonies. 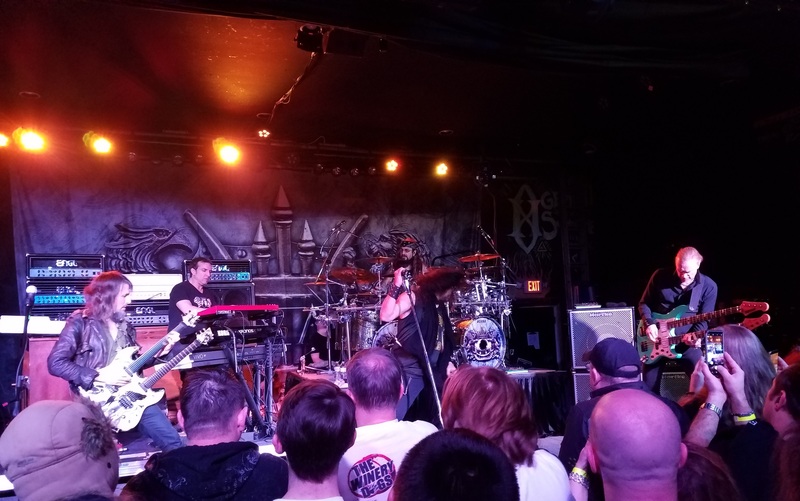 After the clearing of one more drum set, finally leaving enough room for a band to perform, Sons of Apollo took the stage, and they did not disappoint. For the uninitiated, Sons of Apollo is a Supergroup, comprising of former Dream Theater drummer Mike Portnoy, former Dream Theater keyboardist Derek Sherinian, Mr. Big Bassist Billy Sheehan, Former Guns N’ Roses Guitarist Ron “Bumblefoot” Thal, and Trans-Siberian Orchestra and former Journey vocalist Jeff Scott Soto. This virtuoso pedigree made itself apparent right out of the gates with their album’s opener, “God of the Sun.” The band transformed and contorted with incredible aptitude to fit each and every song from their epic album “Psychotic Symphony”, including several covers (see below). 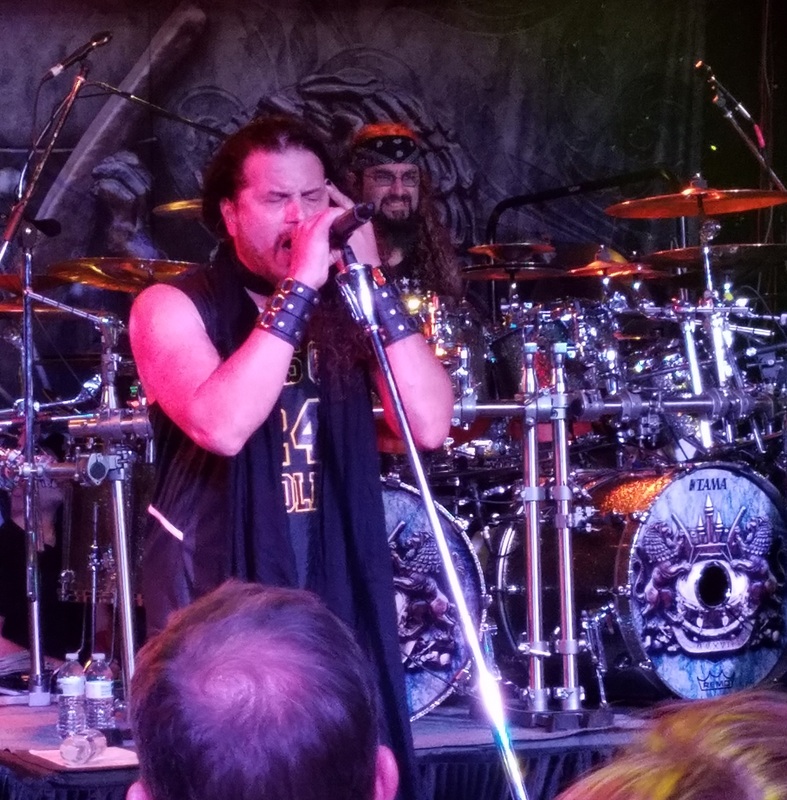 In Sons of Apollo’s case, each member (debatably barring Portnoy) had an entire song peppered throughout the setlist to showcase their world-class talents. Sheehan and Sherinian each had an original (and possibly improvised) solo section for each of the two, while Thal had a beefed-up cover of Henry Mancini’s famous theme to “The Pink Panther” and Soto had given himself the previously-thought-to-be-impossible feat of covering Queen. He began by mimicking the now-famous call and response schtick popularized by Freddy Mercury and then transitioned into a downright exquisite cover of Queen’s deep track “Save Me”, tastefully backed by Thal on guitar. 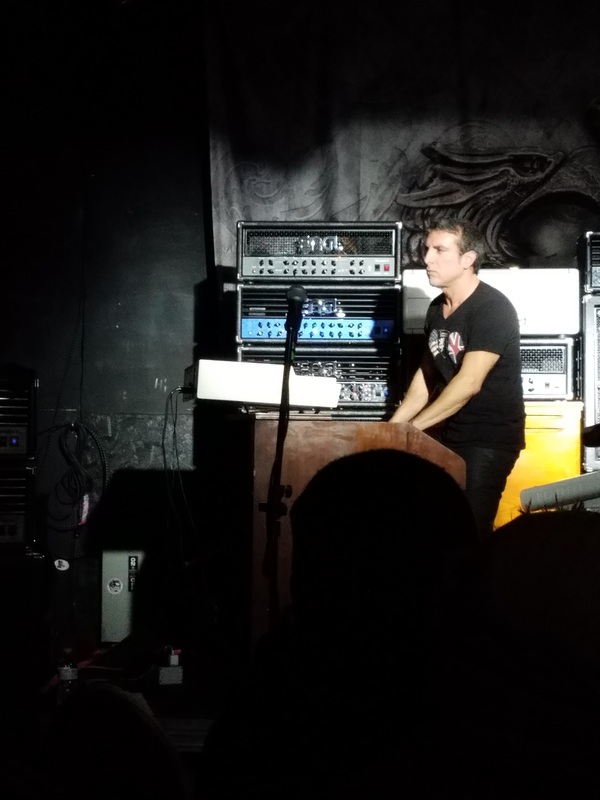 The aspect of the show that was most impressive was just how comfortable Sons of Apollo felt with each other on their very first tour. 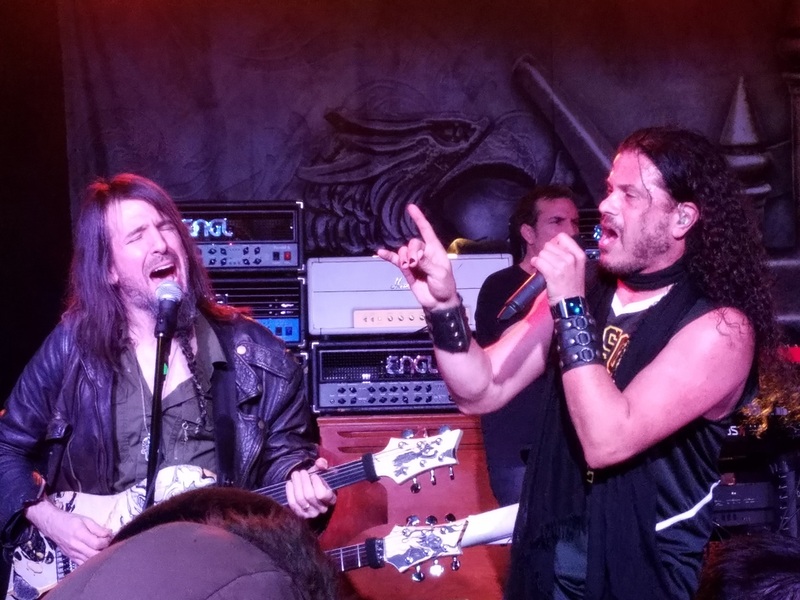 The entire group, even the famously stoic Derek Sherinian, were smiling like goofballs through the entire set, and were playfully joking with each other throughout the show, with special mention going to the mesmerizingly energetic Jeff Scott Soto. Most important, they were clearly having the times of their lives, and if you want to as well, do not miss Sons of Apollo on their continuing tour.